CORSIER-SUR-VEVEY, Switzerland (December 24) – The United World Wrestling Bureau has approved new regulations for the 2019 Ranking Series. The recommendations were brought forward by the Technical Commission at a meeting last week in Belgrade. 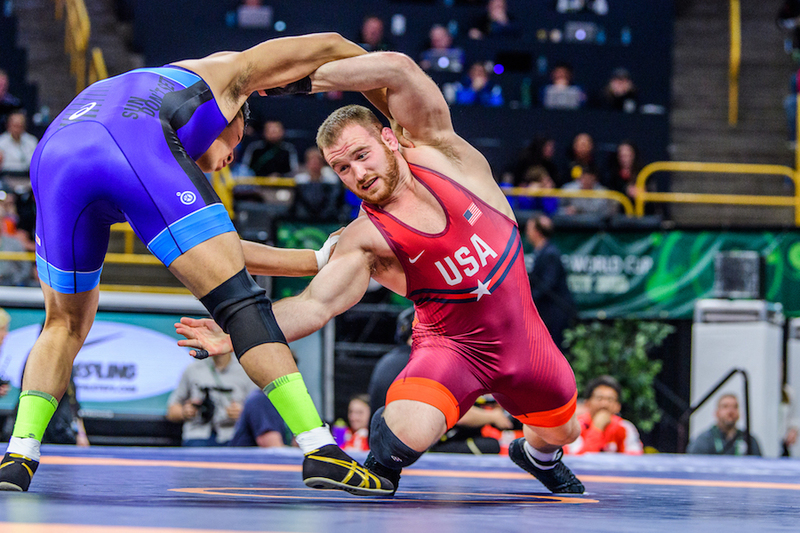 The most important changes to the 2019 Ranking Series centered around allocation of points at world championships, continental championships, and Ranking Series events. The points were rebalanced to emphasize participation, and success, at the world and continental championships. New worldwide rankings have been updated on the United World Wrestling website. The 2018 World Championships results are the basis of the rankings, as each year the world championships results will be the first points for the following year. The seeding process for the World Championships and Olympic Games will now also include a field of the top four wrestlers in each weight category with lower seeded athletes bumping up should one of the top four not participate in the world championships. The previous version of the world championships did not replace top seeds when they were absent of the competition. The number of points awarded at a competition will also be impacted by the number of wrestlers entered in each bracket. For weight categories with 10 or fewer entries an additional six (6) points will be added. For categories with 11-20 wrestlers entered an additional eight (8) points will be added. Ten (10) points will be added to any weight category with more than 20 entries. Points will be allocated to participating athletes in a weight category and are not transferable to other athletes or weight categories. Points will also reset after the world championships or Olympic Games with the points from the previous year’s championships or games used for following year’s rankings. For example, the 2019 rankings start with only the results of the 2018 World Championships in Budapest. There will no longer be a +2kg weight allowance granted for Ranking Series, Continental Championships, World Championships, or Olympic Games. The Technical Commission also recommended, and the bureau approved, locations for the 2019 Ranking Series events, with Women’s Wrestling and Freestyle traveling together to all four events, while Greco-Roman joins in Sassari but otherwise has additional unique locations. The Ranking Series will kick off with the Ivan Yarygin in Krasnoyarsk, Russia, a competition long hailed as the “Toughest Wrestling Tournament in the World.” The 2019 edition is already creating a response, with top-level wrestlers from around the world committed to the competition, including 97kg rivals Abdulrashid SADULAEV (RUS) and Kyle SNYDER (USA). The Technical Commission also discussed the location and format for the 2019 World Cups, with more information available in the coming weeks. For additional information and details on the Ranking Series, please review the full circular, HERE.